Formed in 2004 at the University of Florence and joined since 2009 to the French Platform PeptLab@UCP at the University of Cergy-Pontoise, the Interdepartmental Laboratory of Peptide & Protein Chemistry & Biology (PeptLab) operates as a multi-disciplinary research infrastructure with expertise in synthesis, structural studies, immunology, and pharmacology of peptides. PeptLab was made possible by the financial support of the “Fondazione Ente Cassa di Risparmio di Firenze (Italy)” and by the “Chaire d’Excellence” awarded to Professor Anna Maria Papini by the “Agence Nationale de la Recherche” (France). The infrastructure operates two major research sites at Florence University (PeptLab@UNIFI) and the University of Cergy-Pontoise (PeptLab@UCP). 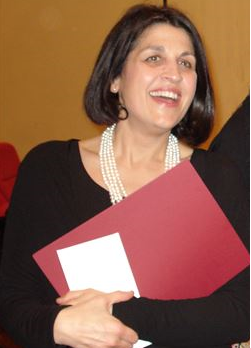 PeptLab is managed by Prof. Anna Maria Papini and serves as a European Network for providing innovative R&D strategies toward the pursuit of peptide-based diagnostics and vaccines. Maintaining the highest peptide synthesis capabilities is of critical importance for PeptLab. This led to the creation of ESPIKEM Srl. which operates in coordination with PeptLab and provides custom peptides for universities, biotech, and pharmaceutical companies. According to Prof. Papini, PeptLab has previously worked with many conventional and microwave peptide synthesizers for making peptides. 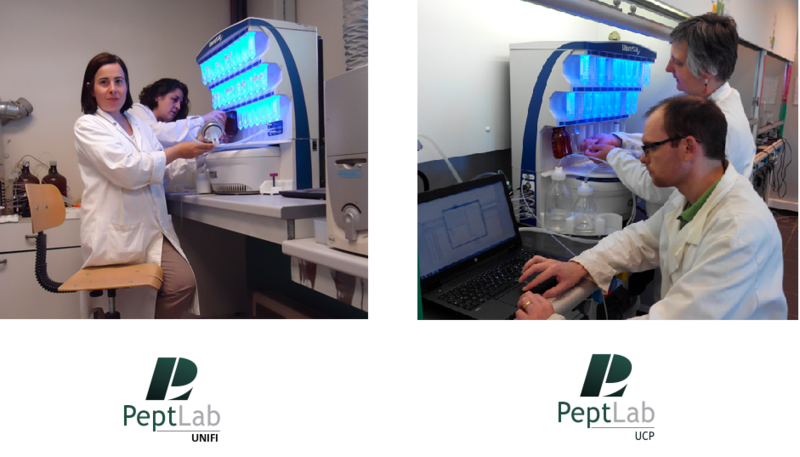 In 2014, PeptLab acquired Liberty Blue Peptide Synthesis Systems at both its Italian and French locations. Prof. Papini commented, “The Liberty Blue is the best peptide synthesizer on the market. Its synthesis speed and peptide purity are unmatched. Using the Liberty Blue has also made our subsequent purifications easier which is a major benefit”. PeptLab has successfully utilized the Liberty Blue for the synthesis of many difficult peptides, including phosphopeptides and glycopeptides incorporating multiple phospho and glyco modifications. These complex modifications were made simpler by the flexible programming built into the system software. Recently, PeptLab published an article in Chemistry Today highlighting issues with undesirable methionine oxidation at elevated temperature1. Prof. Papini commented, “This is a significant problem for other systems that do not provide an inert nitrogen blanket. In contrast, the Liberty Blue completely solved this issue for us.” She concluded, “We are very satisfied with the Liberty Blue system and would highly recommend its use to other peptide researchers”. Rentier, C.; Monasson, O.; Nuti, F.; Rovero, P.; Sabatino, G.; Papini, A.M. Oligos & Peptides – Chimica Oggi , 2015, 33, 32-35.